These are the current apartments offered for Sale or Rent by Owner. 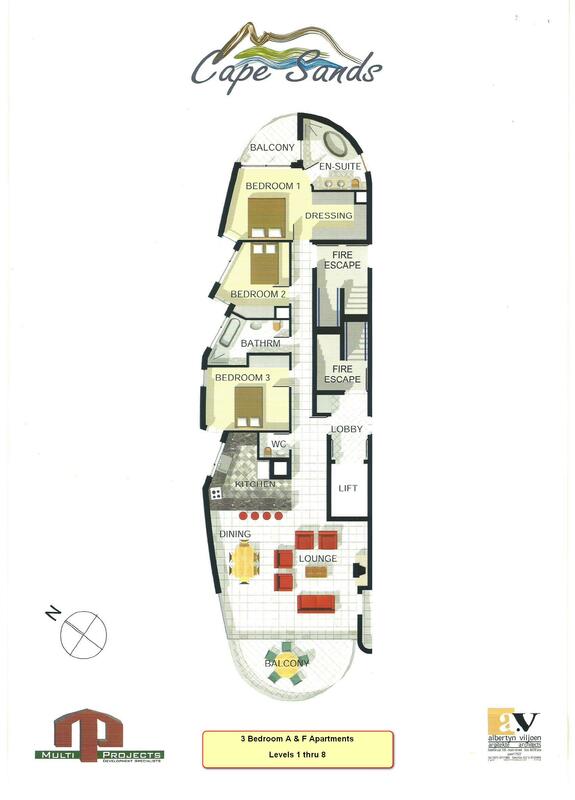 The "A"; "C"; "D"; and "F" are 3 Bed apartments and are sized at 131m², plus 20m² of total (2) balcony area. 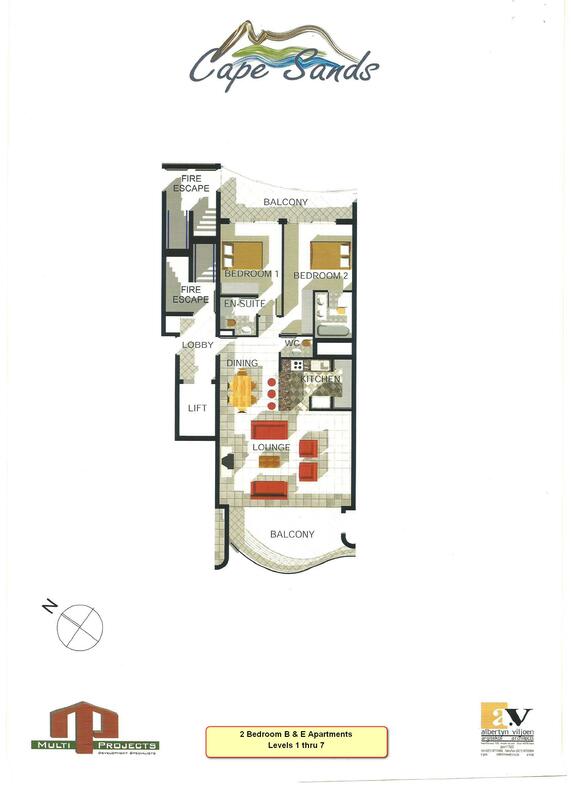 The "B" and "E" apartments are 2 Bed apartments and are sized at 91m², plus 18m² of total (2) balcony area. The 3 Elevators each serve only two apartments per floor. Security benefit. The complex has its own generator serving all the communal areas. Lifts, garage doors, lights and water. Large 10,000 ltrs rain water collection system and Bore hole to supplement swimming pool and garden watering.. The communal areas are covered by extensive CCTV coverage. Two floor levels (B1 & B2) of secure undercover parking with some separate garaging. The apartments are shown in coordination with the Owner's personally, and are marketed solely on a private basis. This is a service provided solely to the Cape Sands Owner community and excludes any and all Real Estate Marketeers. By utilising this service, the added advantage is of course the reduction of costs to both parties. The Body Corporate take no responsibility for the accuracy or content of the information presented by each owner. Some apartments differ from the Floor plans shown and some have been changed over the years as ownership has been transferred. Interested Buyers/Tenants are encouraged to contact the Owners direct through the email links provided. The apartments are mirrored A & F; B & E ; C & D respectively across each level.